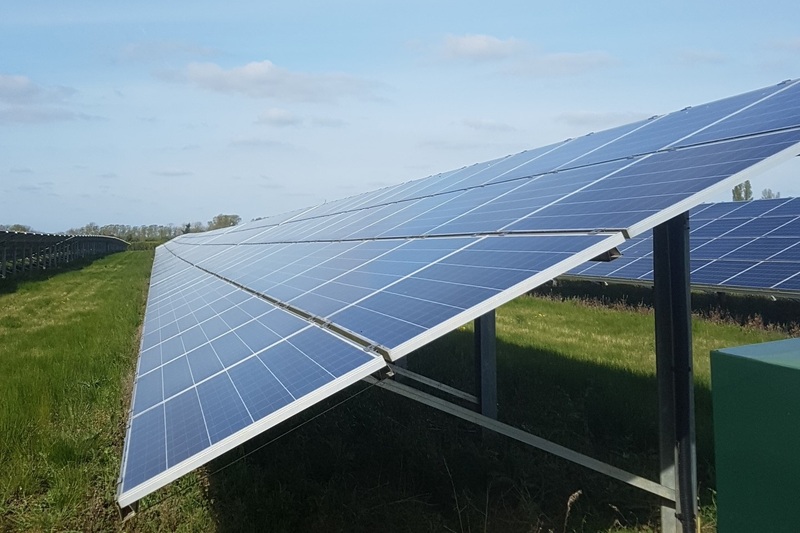 Irish solar will reach grid parity in less than a decade, according to predictions by the country’s transmission system operator, despite having no large scale ground mount solar currently installed. Last week Eirgrid released ‘Tomorrow’s Energy Scenarios 2017’, an exercise mirroring the UK SO National Grid which recently published its Future Energy Scenarios document. It forecasts that Ireland is likely to see large scale solar PV connecting to the system at an increasing rate from the mid-2020s without the need for a subsidy due to “rapidly decreasing capital costs”. Like National Grid’s forecasts, Eirgrid has split its predictions into four scenarios covering a range of eventualities related to economic growth, or lack of; greater interest from consumers in generating their own electricity and limiting their energy use; and steady growth in the generation of renewable electricity. Each considers a range of installed solar PV capacity by 2030, ranging from 200MW in the lowest case up to 2.5GW in the most ambitious. By 2030, Eirgrid predicts that the level of distributed solar PV deployed under the Consumer Action scenario would reduce the system demand by over 500MW between 11:00am and 5:00pm in the summer. Ireland is yet to have implemented a support scheme for solar deployment, a policy long overdue since the government’s first consultation in 2015. The Department of Communications, Climate Action and Environment had been expected to publish a second more detailed plan for a new subsidy last month however this has yet to emerge. Despite this delay, interest in solar deployment in the Republic has continued to grow, with over 5GW of solar sitting in the pipeline according to Solar Media’s in house market research team. Some installs are said to have taken place on rooftops with the help of power purchase agreements however Eirgrid’s scenarios state that without government incentives for these projects, rooftop deployment of solar on households and businesses will remain unlikely in large capacities until post-2025. Eirgrid also outlined its forecasts for storage in the Republic of Ireland, making a strong case for the deployment of batteries in the future. Like solar, the technology is expected to become more economically viable due to decreasing capital costs. “Due to its relatively small footprint compared to other storage methods, [battery energy storage] currently has the greatest potential for electricity storage in the future,” the document adds. Eirgrid also expects to see large scale grid connected batteries co-located with renewables rather than as standalone installs, as the technology’s ability to help reduce curtailment is expected to be key to the integration of solar and wind onto the grid. Household battery energy storage will likely connect with domestic solar PV to provide additional self-consumption for consumers. However due to high capital costs, the scenarios see small levels of battery storage until 2025-2030 at which point there is thought to be an increase. Eirgrid’s forecasts follow a consultation with industry launched in February after the SO’s initial predictions were released. The following discussions led Eirgrid to increase its original expectations for storage to the above levels. Full details of the ~5.4 GW of solar farms in the pipeline ahead of the release of the solar policy announcement in the Republic of Ireland are shown in our Republic of Ireland Solar PV Opportunity Tracker report which can be found here, or by emailing us directly.